2005 – Steve Jobs spoke in front of the masses at the WWDC announcing that Apple will switch their processors from PowerPC to Intel. He then showed off the Mac OS X running on aPentium 4 CPU. The reasoning was that PowerPC chips took too much power to run and also ran hotter than an Intel chip. 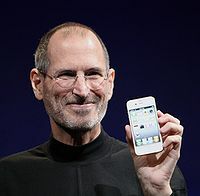 2011 – It was also a sad day, as Apple CEO Steve Jobs gave what was to become his last keynote at WWDC. He introduced us to iCloud – a new service so you do not need a computer to connect your iPad or iPhone. iOS got an upgrade to version 5, and Jobs announced Mac OSX Lion. Also announced was iTunes Match, a way to keep your music in the cloud.